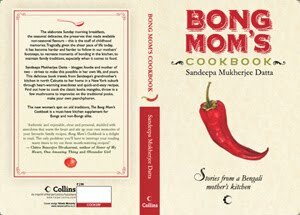 Bong Mom's CookBook: Roti etc. S is not too fond of Roti or as we say Ruti. The only way she likes Roti is an Roti Omlette or Roti rolled around meatballs. Roti with veggies is an Oh No !! Inspired by Indosungod's version I made an Indianized Quesadilla for her. This time it was an Oh Yes !!! I had home made roti/Chapati. You can also use tortillas. This made for a lovely dinner yesterday. Indo says these also make great lunch box items. So try it. Great way to dress up the rotis! I was actually hoping for this Indianised recipe..looks very delicious. with some more spices would be good lunch box option for grown ups too. A definite kid pleaser. Beets,carrots and potatoes who can say no to that. Next time try omelette with cheese inside a chapati. For a egg loving kid that is a big Yes as well. I think we parent go a lot of sneakyness to make our kids eat what they don't like. There is no way my son can eat roti or veggie! Good use of any leftover side dish! Very colorful! 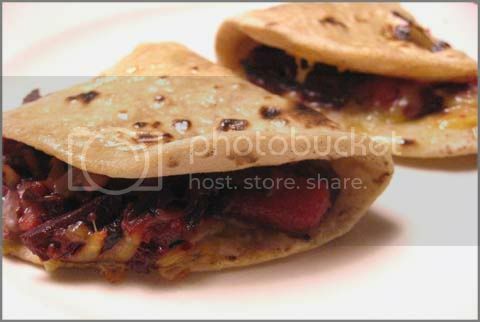 These desified quesadillas are great dinners!